Despite Apple’s unfailing dedication to UI, they still sometimes manage to put out some stinkers. The latest of these is the ‘keyboard’ for the search interface in the Apple TV. It’s an alphabetical keyboard, laid out in a square with the obvious frustration that goes along with that terrible idea. [Lasse] was frustrated with this design and realized searching anything with the Apple TV IR remote is a pain. His solution was to build his own version of the Apple TV remote with a web interface, powered by an Arduino. Inspired by the Apple Remote Arduino Shield we featured a few years ago, [Lasse] stuck an IR LED int the pins of Arduino with an Ethernet shield, current limiting resistors be damned. The web UI is the innovative part of this build. He’s hosting a simple website on the Arduino that allows him to type – with a real keyboard – a search query into the website, and have the Arduino take care of moving the Apple TV cursor around to select each letter. The web UI has all the features found on the Apple TV remote, including the swipe gestures, and has a really slick brushed metal texture to boot. You can check out the video of [Lasse]’s project typing text into an Apple TV hilariously fast below. Using a jailbroken AppleTV, [David] was able to do a fair bit of detective work and found a way to enable the ‘Add Site’ option, which allowed him to use his Raspberry Pi as a media server. The good news: you don’t need to jailbreak if you’re running 5.2 or 5.3… you should be able to recreate his success fairly easily. The bad news: things seem to have changed in 6.0. [David] isn’t sure if this was Apple intentionally closing a hole, or just not dotting all of their i’s. [David] put all of his research up on Github, including the rough code. If you haven’t updated your AppleTV yet, and you have a Raspberry Pi to use as a media server, give it a try and let us know how it goes in the comments. 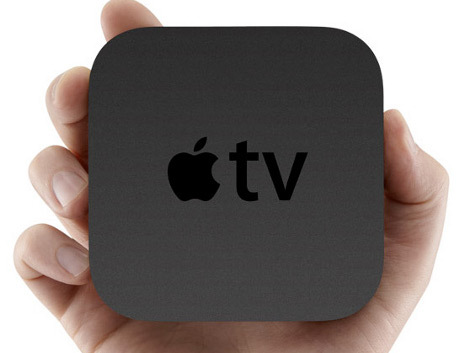 Apple has been keeping a tight leash on the third generation of their Apple TV hardware. Not only has it stood up to every attempt at a Jailbreak, but they don’t allow 3rd party applications through the app store like the other iOS hardware does. The second generation hardware was a popular platform for XBMC. It required a jailbreak to load the home media software which is why it can’t be done on the newest box. But here’s an alternative. This hack uses DNS redirects to make Apple TV 3 a Plex frontend. 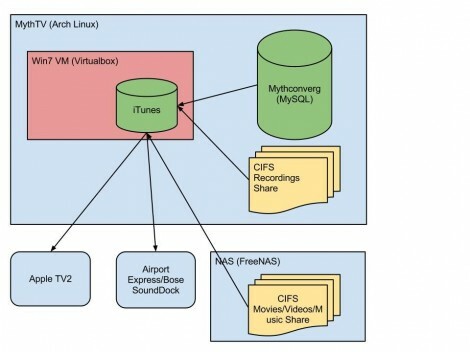 Instead of putting new software on the Apple TV this uses a separate computer to intercept its web traffic. You aim your Apple TV DNS at the computer running the script, then use the native Movie Trailer app, which will be populated with movies and TV shows from your Plex backend. All other functionality will be retained, making for a near-perfect solution. For more info on the system check out this forum.